Taken a few minutes ago. This was taken with a camcorder, transferred to my mobile, then uploaded. I had forgotten how to add the watermark, so edited the image when I was back home. 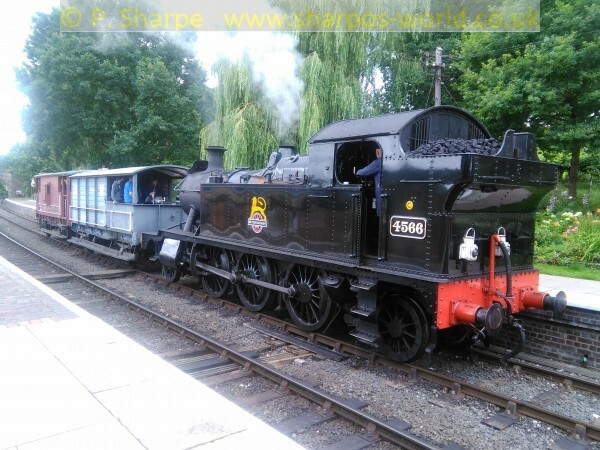 This entry was posted in Severn Valley Railway on August 29, 2015 by Sharpo. 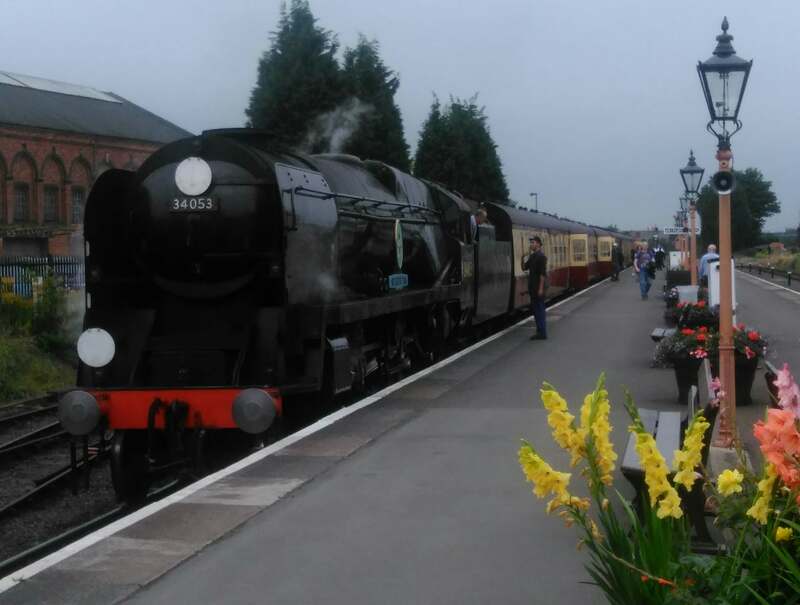 Another test photo from my mobile, the Severn Valley Limited diner. This entry was posted in Severn Valley Railway on August 16, 2015 by Sharpo. Another experiment, this time to add a photo from my mobile, but with a watermark. It shows the 2 brake vans hauled by 4566. 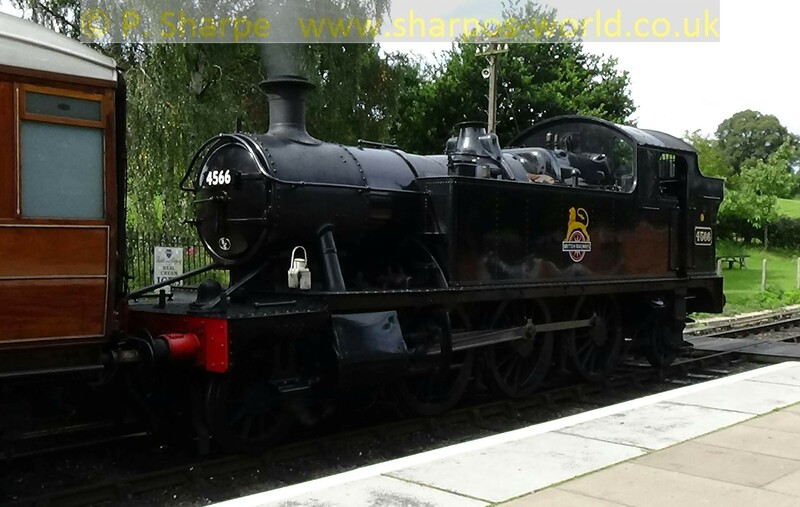 This entry was posted in Severn Valley Railway on August 15, 2015 by Sharpo. 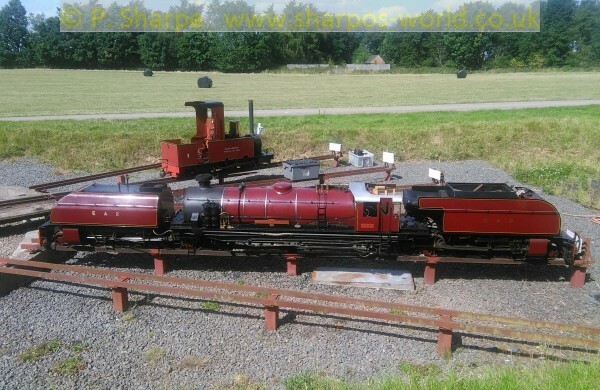 The image was posted to my blog when I was at Arley. Now I’m back home I can easily add some more text as Mrs. S and dog were waiting to head home. I took several photos with my mobile but only posted this one, just to get used to the procedure. I’ll have to experiment more with the mobile to make sure I take the best photos possible. At least I know I can upload them to the blog & I’m sure one day I might get something of real interest. Final photo taken with my mobile, the Class 20 in the other bay. 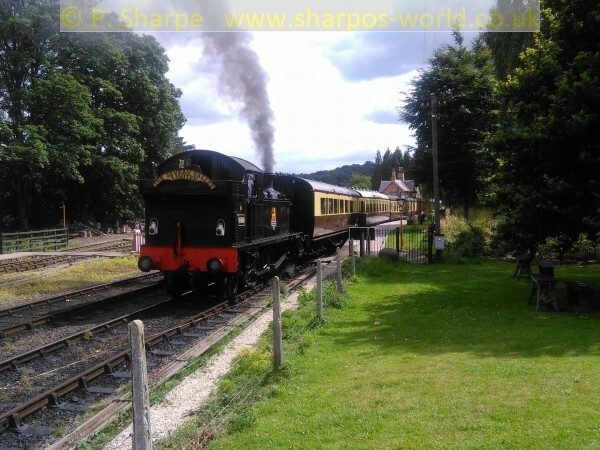 This entry was posted in Severn Valley Railway on August 13, 2015 by Sharpo. 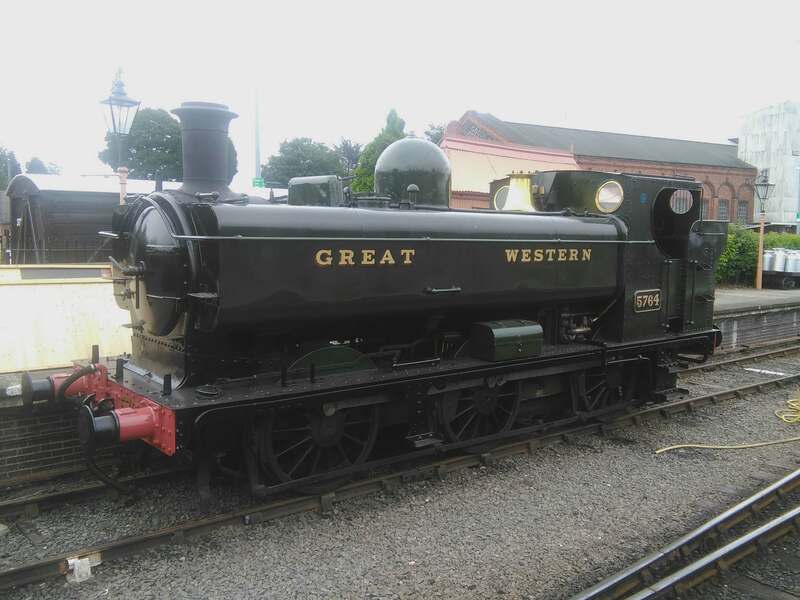 Called in at the station for a sandwich at the museum and noticed the Pannier in the bay. Probably could’ve done better with a camera. This entry was posted in Uncategorized on August 13, 2015 by Sharpo. Took loads of videos but only photographed this with my mobile. This entry was posted in Sharpo's World Photo Updates on August 8, 2015 by Sharpo. All 5 locos running are seen in the videos from today. This entry was posted in Sharpo's World Photo Updates, Sharpo's World video updates on August 6, 2015 by Sharpo. I think I’m getting back into the routine of this now, it didn’t take too long to crop the images to fit into the old photo gallery. I know they aren’t as good as photos taken with a proper camera but they are a quick reference to what was seen, certainly easier to find them in the gallery than on YouTube. 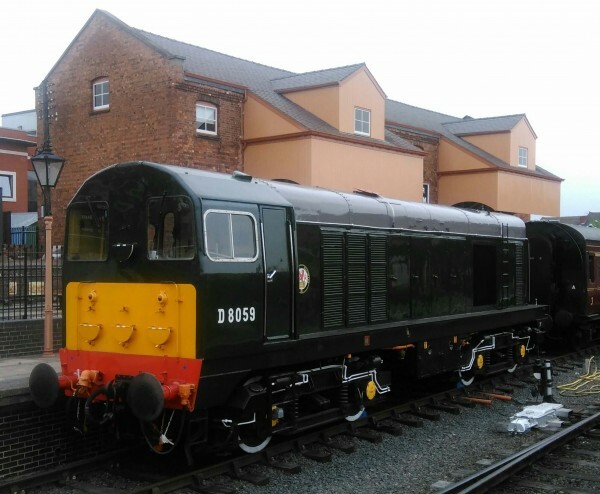 There wasn’t time to wait for the other service train, so only 4 locos seen. Nothing to “cop” but as it was a 60 & I was able to get to Hagley it was worth a little outing. 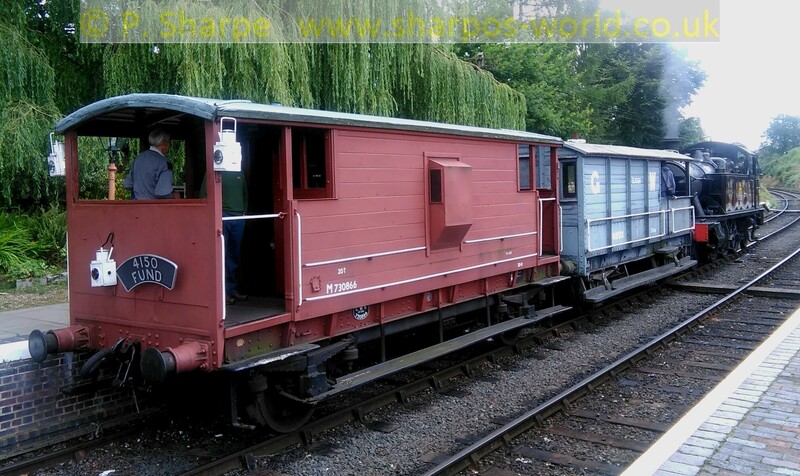 Also filmed the DMUs seen during the time I was there. If nothing else, it makes a change from the “Junction”! This entry was posted in Sharpo's World video updates on August 6, 2015 by Sharpo. I don’t normally have a camera with me when I’m videoing, but I have made it easier to upload an image from my mobile to this blog. So if I see something that’s worth a photo I can take it and post it here. We’ll see how it goes….. This entry was posted in Sharpo's World Photo Updates on August 5, 2015 by Sharpo.